Need to let go of stress and tension? A Soundbath may be just what you need! Imagine lying in the centre of a relaxing, high energy field, whilst bathing your body in sound. Introduce your senses to new vibrations. Allow the vibrations to melt away negativity and tension and replace these with positivity, peace, and harmony. Experience waves of peace, heightened awareness and relaxation of your mind and body. Leave feeling calm and energised. Prepare to be bathed in relaxing sound. 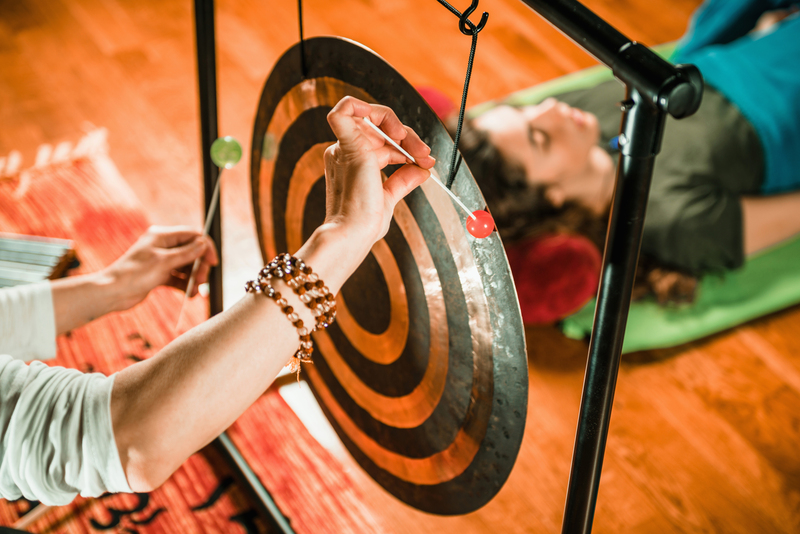 I use the gentle flowing sounds of Himalayan Bowls and Crystal Singing Bowls, the powerful resonance of the Gong and subtle sounds of bells, rainsticks, and shakers to immerse you in high energy sound. Let the vibrations melt away negativity and tension and replace these with positivity, peace, and harmony. The sound fills your whole mind, silencing mental chatter. This creates space that allows your higher self/subconscious to come through to your conscious mind. From this space you can then see what you need to do, giving you the option of then taking action or not. Please arrive 10 minutes before the session is due to start. The session starts promptly at 4 pm. Once the session starts the group energy cannot be broken. Thank you.